Multiplexing and Demultiplexing: What Are They and Their Differences? Multiplexing and demultiplexing are two common jargon in network transmission field. No matter whether you have any question about your network connection or not, it is better to have a general understanding of them in case of need. This post below will tell you what they are and the difference between multiplexing and demultiplexing. Normally, there are three main different techniques in multiplexing light signals onto a single optical fiber link: optical time division multiplexing (OTDM), code division multiplexing (CDM), and wavelength division multiplexing (WDM). WDM is one of the most common way using wavelengths to increase bandwidth by multiplexing various optical carrier signals onto a single optical fiber. WDM systems are divided into two main different wavelength patterns, coarse WDM (CWDM) and dense WDM (DWDM). 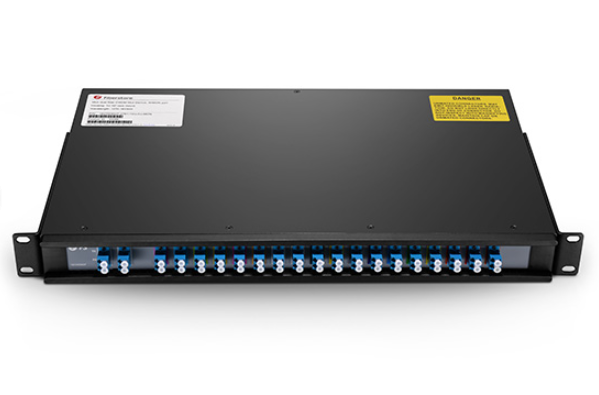 CWDM provides up to 18 channels across multiple transmission windows of silica fibers. While, DWDM uses the C-Band (1530 nm-1565nm) transmission window but with denser channel spacing. Multiplexing (Muxing) is a term used in the field of communications and computer networking. It generally refers to the process and technique of transmitting multiple analog or digital input signals or data streams over a single channel. 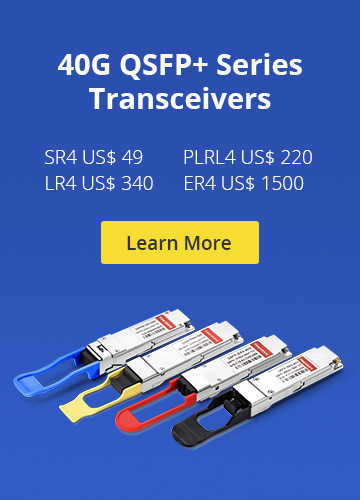 Since multiplexing can integrate multiple low-speed channels into one high-speed channel for transmission, the high-speed channel is effectively utilized. By using multiplexing, communication carriers can avoid maintaining multiple lines, therefore, operating costs are effectively saved. Multiplexer (Mux) is a device which performs the multiplexing process. It is a hardware component that combines multiple analog or digital input signals into a single line of transmission. Demultiplexing (Demuxing) is a term relative to multiplexing. It is the reverse of the multiplexing process. Demultiplex is a process reconverting a signal containing multiple analog or digital signal streams back into the original separate and unrelated signals. Although demultiplexing is the reverse of the multiplexing process, it is not the opposite of multiplexing. The opposite of multiplexing is inverse multiplexing (iMuxing), which breaks one data stream into several related data streams. Thus, the difference between demultiplexing and inverse multiplexing is that the output streams of demultiplexing are unrelated, while the output streams of inverse multiplexing are related. Demultiplexer (Demux) is a device that performs the reverse process of multiplexer. Actually, you can see the difference between multiplexing and demultiplexing in essence from their definitions. Multiplexing is method or technique in which more than one signals are combined into one signal that travels on a medium. demultiplexing is the reverse of multiplexing, in which a multiplexed signal is decomposed in individual signals. In Communication System: increase the efficiency of the communication system by allowing the transmission of data, such as audio and video data transmission. In Computer Memory: keep up a vast amount of memory in the computers and decrease the number of copper lines necessary to connect the memory to other parts of the computer as well. In Telephone Network: integrate the multiple audio signals on a single line of transmission. In Communication System: receives the output signals from the multiplexer and converts them back to the original form at the receiver end. In Arithmetic Logic Unit: The output of the arithmetic logic unit is fed as an input to the Demux, and the o/p of the Demux is connected to a multiple registers. In Serial to Parallel Converter: The serial to parallel converter is used to reform parallel data. In this method, serial data are given as an input to the Demux and a counter is attached to the Demux to sense the data signal at the Demux’s o/p. When all data signals are stored, the output of the Demux can be read out in parallel. From all the above, it is easier for you to tell the difference between multiplexing and demultiplexing. They are the reverse process of each other and can be applied to many occasions. 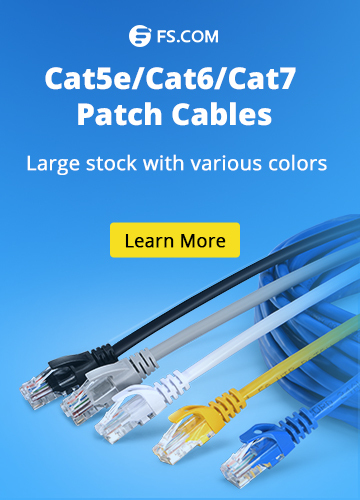 Multiplexing and demultiplexing are two technologies widely used in CWDM and DWDM. The device used for multiplexing is a multiplexer (Mux), and the device used for demultiplexing is a demultiplexer (Demux). However, nowadays a typical device will have both multiplexing and demultiplexing capabilities. CWDM Mux Demux and DWDM Mux Demux from FS are such devices. WDM System difference between multiplexing and demultiplexing, multiplexing and demultiplexing, what is demultiplexing, what is multiplexing. permalink. How to Set up a Network Switch With a Router?